With only a barnyard full of miserable animals and her dead mother’s gold ring to call her own, Bess, unprotected and approaching womanhood, fills lonely days tracing her father’s route on maps at the subscription library and waiting for his letters to arrive. Bellman, meanwhile, wanders farther and farther from home, across harsh and alien landscapes, in reckless pursuit of the unknown. 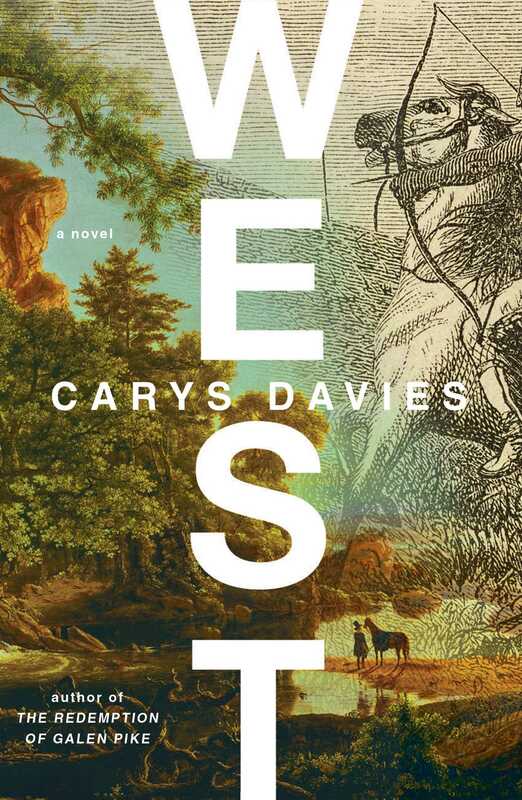 From Frank O’Connor Award winner Carys Davies, West is a spellbinding and timeless epic-in-miniature, an eerie parable of the American frontier and an electric monument to possibility. From what she could see he had two guns, a hatchet, a knife, his rolled blanket, the big tin chest, various bags and bundles, one of which, she supposed, contained her mother’s things. He saw her looking at his bundles and his bags and the big tin chest, and wondered if she was thinking about Elsie’s things. He hadn’t meant her to see him packing them. Bess nodded. Her eyes smarted. This was much longer than she’d expected, much longer than she’d hoped. “Twelve, yes.” He lifted her up then and kissed her forehead and told her goodbye, and in another moment he was aloft on his horse in his brown wool coat and his high black hat, and then he was off down the stony track that led away from the house, already heading in a westerly direction. For a long time Bess stood, ignoring the words of her aunt Julie, watching her father ride away. In her opinion he did not resemble any kind of fool. In her opinion he looked grand and purposeful and brave. In her opinion he looked intelligent and romantic and adventurous. He looked like someone with a mission that made him different from other people, and for as long as he was gone she would hold this picture of him in her mind: up there on his horse with his bags and his bundles and his weapons—up there in his long coat and his stovepipe hat, heading off into the west. She did not ever doubt that she would see him again. This reading group guide for West includes an introduction, discussion questions, and ideas for enhancing your book club. The suggested questions are intended to help your reading group find new and interesting angles and topics for your discussion. We hope that these ideas will enrich your conversation and increase your enjoyment of the book. When widowed mule breeder Cy Bellman reads in the newspaper that colossal ancient bones have been discovered in the salty Kentucky mud, he sets out from his small Pennsylvania farm to see for himself if the rumors are true: that the giant monsters are still alive and roam the uncharted wilderness beyond the Mississippi River. Promising to return within two years, he leaves behind his daughter, Bess, to the tender mercies of his taciturn sister, Julie. With only a barnyard full of miserable animals and her dead mother’s gold ring to call her own, Bess fills lonely days tracing her father’s route on maps at the subscription library in town and shrinking from the ominous attentions paid to her and her aunt by their neighbor and sometimes yard hand, Elmer Jackson. Bellman, meanwhile, ventures farther and farther from home, across the harsh and alien landscapes of the West in reckless pursuit of the unknown. 1. West opens on the morning Bellman is preparing to leave his farm in Pennsylvania to head to the unsettled territories. What does “west” mean to Bellman, and how does its significance contrast with what it represents for his daughter, Bess, his sister, Julie, and his neighbor, Elmer Jackson? 2. Bellman can only explain his response to the giant animal bones in terms of bodily sensations: “There were no words for the prickling feeling he had that the giant animals were important somehow, only the tingling that was almost like nausea and the knowledge that it was impossible for him, now, to stay where he was” (p. 16). How would you articulate, using the words he can’t summon, the reasons that the animals ignite such a profound yearning in Bellman? 3. Why does Old Woman From A Distance choose to leave the Shawnees in favor of working with Devereux and Mr. Hollinghurst? Why does he then leave them to go with Bellman as a guide even though he knows the giant animals aren’t out there? What does Old Woman’s behavior toward these men reveal about his worldview, his hopes, his fears, and his deepest desires? 4. Bellman’s route to the West is retraced by Old Woman when he journeys east to deliver the letters to Bess. How do the two men experience the same terrain differently? How do they influence each other along the way? 5. West is narrated by a chorus of characters both principal and ancillary: Bellman, Bess, Old Woman From A Distance, Devereux, Elmer Jackson, the librarian, Mary Higson, and an omniscent narrator, among others. 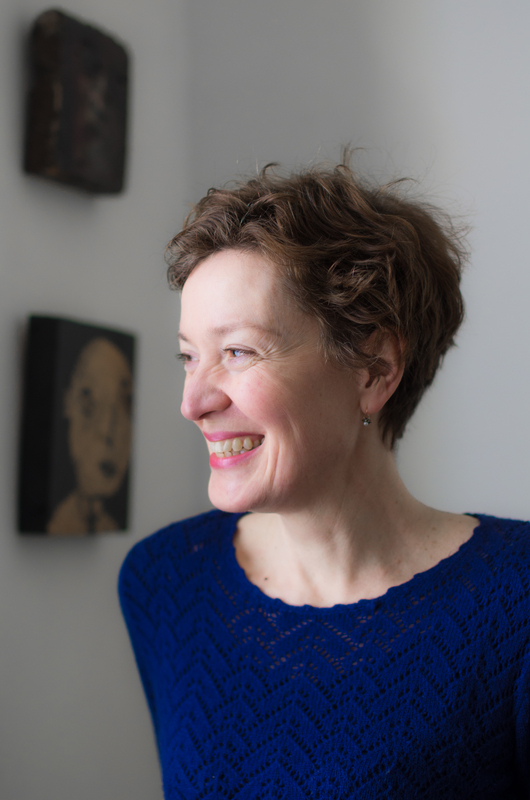 How did the shifting perspectives contribute to your enjoyment of the novel? Which character’s perspective did you relate to the most? The least? 6. In Bellman’s thoughts, Aunt Julie is often accompanied by a variation of the epithet “perhaps softer on the inside than she was on the out.” Do you think this is a fair assessment of Julie’s character? In what ways does she challenge it? 7. By the time Bellman meets his fate in the vast wilderness of the West, he is very, very far from his first home in England, a place he describes as “small and dark and cramped’’ (p. 111). How do you interpret Bellman’s feelings toward the notion of home at this point? Is he more or less ambivalent toward where he comes from than when he first left Lewistown? Did learning that Bellman has already made a journey from England to America change the way you think about his decision to continue west from Lewistown? 8. Aunt Julie regards Bellman as a fool; to Bess he is “grand and purposeful and brave” (p. 2). Knowing what happens, whom do you agree with more? 9. On page 113, Bellman thinks, “You had so many ways of deciding which way to live your life. It made his head spin to think of them.” What does he mean? 10. Bess will never know for sure what Old Woman was thinking while she was retrieving water for him at the pump. What do you think was going through his mind before fleeing? Where do you imagine he is headed after leaving Bellman’s farm? 11. West ends with a sequence dense with images that tie together elements from the entire story. Trace the journey of the objects in the images—the knitting needle, Elsie’s blouse, Bellman’s compass—and how their purposes have transformed. 12. West has been called a parable of the early American frontier. Is there a lesson to be learned from this story? 1. The discovery of colossal animal bones that catches Bellman’s imagination in West is based on true events: In the late 18th century, Pleistocene megafauna fossils were discovered in northern Kentucky, and in fact, at many other sites across the United States as well. Research this chapter of paleontological history, including Thomas Jefferson’s own obsession with mammoths, and share your findings with the group. 2. Bess spends many hours at the subscription library in Lewistown poring over the maps and journals from Lewis & Clark’s expedition. Do some poring over these artifacts yourself online at https://lewisandclarkjournals.unl.edu/ and discuss your findings with the group.